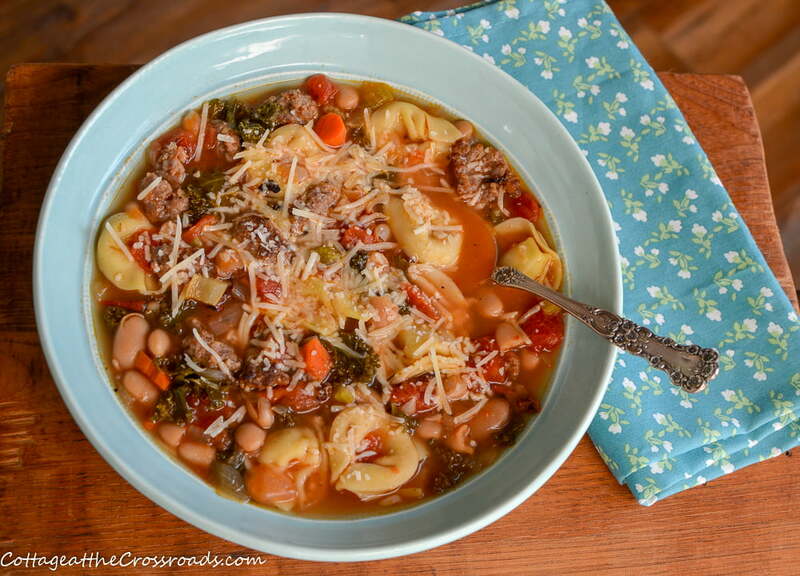 This Italian Sausage and Cheese Tortellini Soup is hearty and quick to put together. Along with some crusty bread, it makes a complete dinner. Is this cold weather ever going away? The bright sunshine is deceptive because it is still downright chilly outdoors. 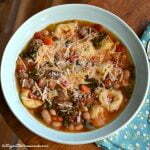 Today I’m sharing a delicious chill-busting tortellini soup guaranteed to warm your innards! With its tomato base, this soup gets some Italian flair with Italian sausage and seasonings. A topping of Parmesan cheese gives it a perfect finishing touch. It’s almost like eating a pizza! You can use fresh or frozen tortellini in making the soup. I used this bag of frozen tortellini and gave it a quick cook and drain according to the package directions. Meanwhile, I chopped some onion, celery, and carrots and threw them in a pot with 2 tablespoons of olive oil. I cooked them until tender and then added some fresh kale from our garden. 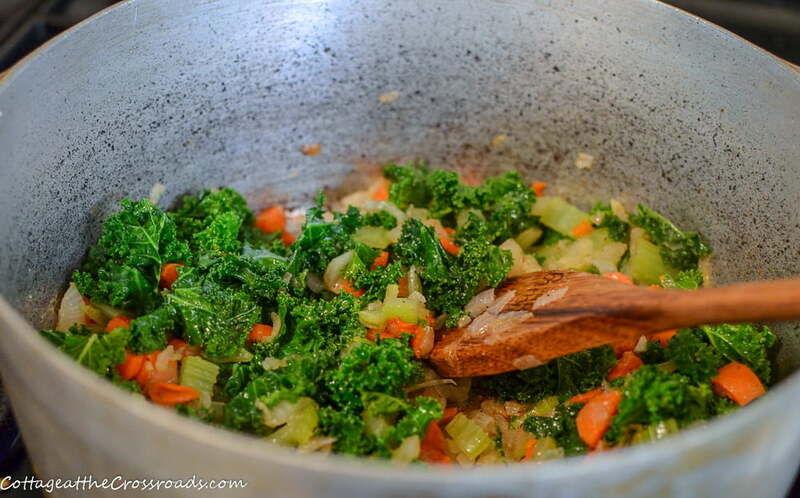 I sauteed the kale for several minutes to soften it. You could easily use spinach, turnip or mustard greens. If you use spinach, I would not add it until near the end since it may wilt too much and become unrecognizable! Next I added a box of chicken stock but you could easily use vegetable stock. Then I threw in 2 cans of cannellini beans and 2 cans diced tomatoes and brought it all to a boil. Meanwhile, I removed the casings from some mild Italian sausage and chopped it into small pieces while browning it in a skillet. After draining it, I added it to the soup. Then I added some Italian seasoning, Creole seasoning, garlic powder, and black pepper. I gave it a good stir and let it simmer on low for about 10 minutes. Oh, boy. The kitchen was smelling like a pizza parlor and drew Leo in to see what was cooking. I threw in the previously cooked tortellini, dipped out some soup, and topped it with some shredded Parmesan cheese. He declared it a real winner! Making the soup took about 30 minutes which put a healthy dinner on the table in no time making it a perfect weeknight meal. 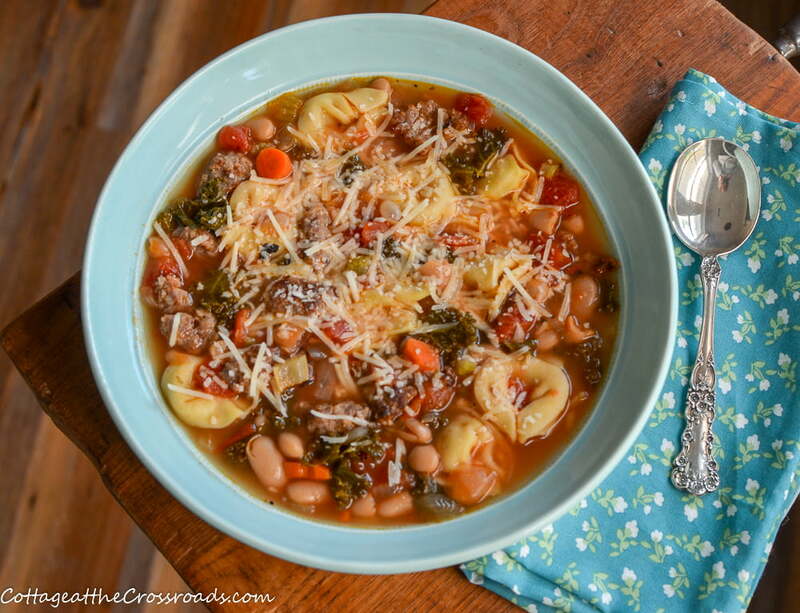 This tomato based soup filled with Italian sausage, veggies, white beans, and cheese tortellini make a complete weeknight meal. Remove casings from the Italian sausage and brown over medium high heat in a skillet. 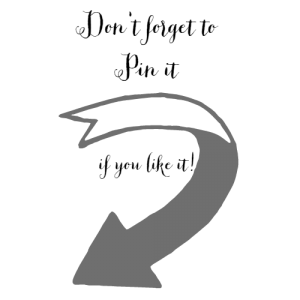 Remove and set aside. 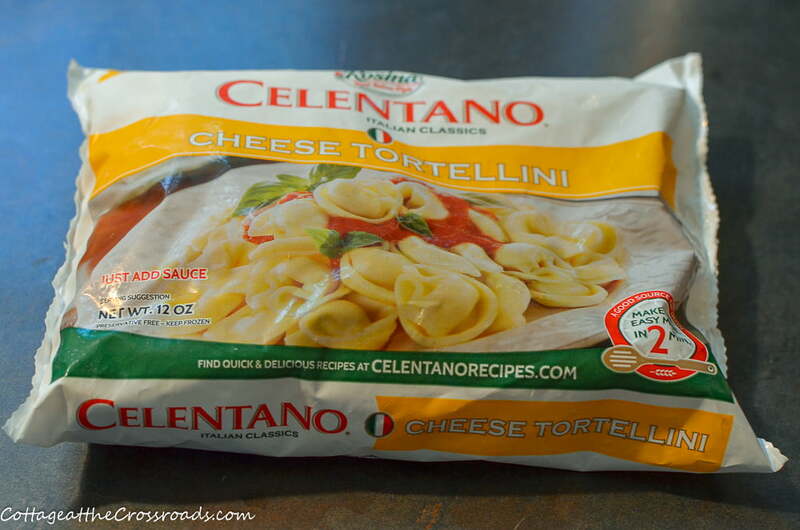 If using frozen tortellini, cook according to package directions and drain. If using refrigerated tortellini, add to the soup near the end. Add the chopped onion, celery, and the carrots to the oil and cook until tender, stirring occasionally. Add the chopped kale. Stir and cook about 2 minutes. Stir in the broth, beans, and diced tomatoes. Bring to a boil over medium high heat. Reduce the heat and stir in the seasonings. Simmer about 10 minutes. Add in the cooked Italian sausage and the tortellini. Cook for an additional 2 minutes. When serving, top each bowl with Parmesan cheese. 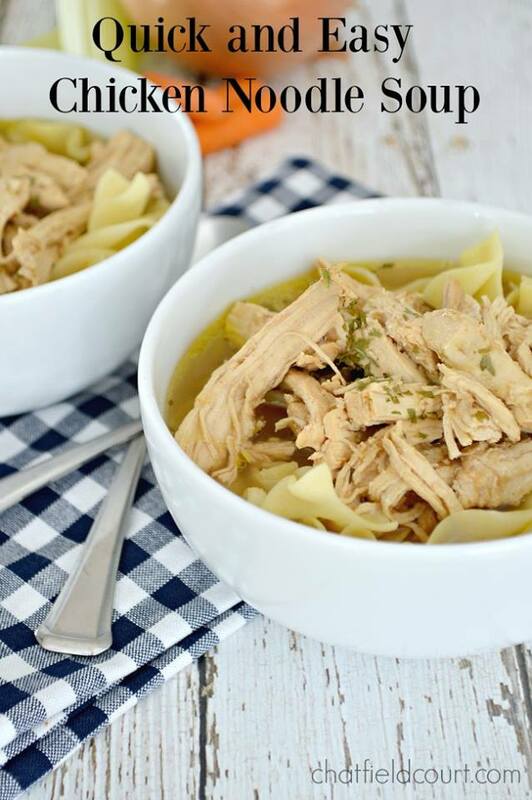 Looking for more savory soup recipes? 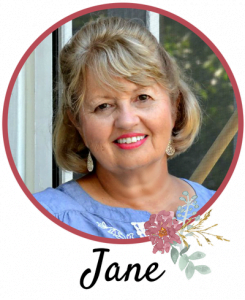 Below you’ll find two delicious recipes from my friends Julie and Kristi. Gosh! Don’t both of those look absolutely delicious? 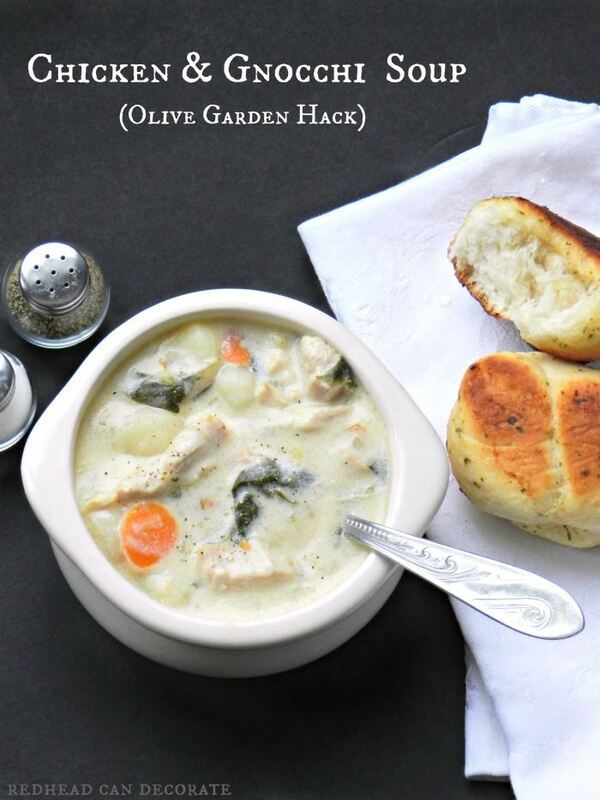 I’m making these soups next week because more cold weather is predicted! Stay warm, friends! The calendar says it’s spring but it’s not feeling it yet! 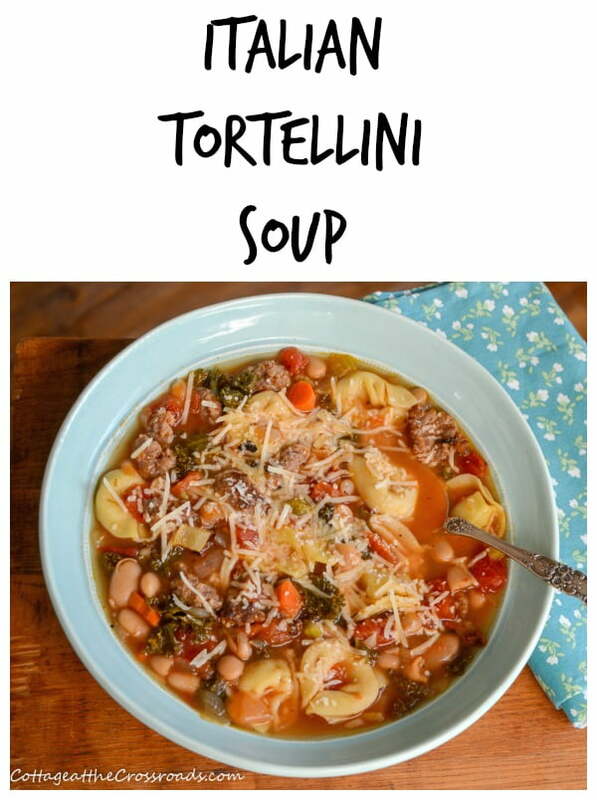 Ooooh, beans and tortellini are two of my favorite things to put in soup. I can’t wait to try this one out. This sounds delicious and exactly what we need this time of year. Let’s just call it Faux Spring! Rick will love this soup he is a huge Italian sausage fan.